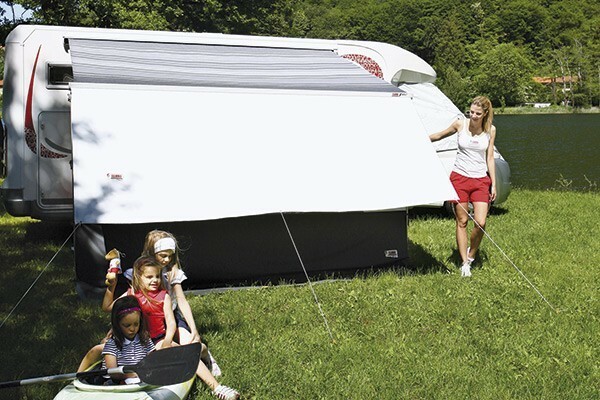 Fiamma front Blocker panel is made in solid, white vinyl and fits to the channel on the lead bar of your awning to offer extra shade or act as a windbreak. 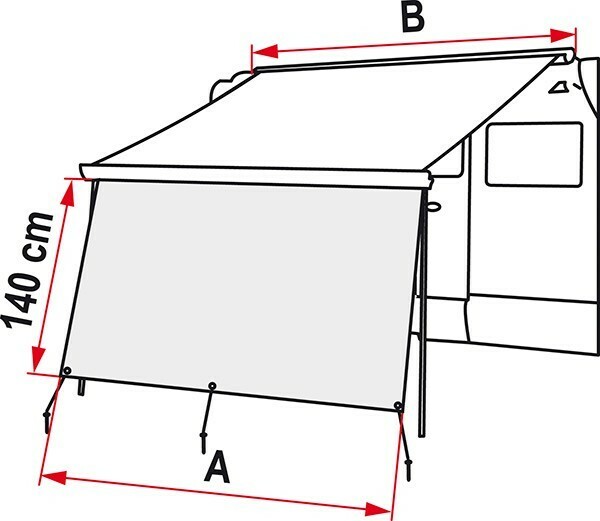 Available in sizes to fit to awnings from 300 to 410 length the Fiamma Blocker fits to Caravanstore, F35, F45 and F65 awnings as well as other brands with a channel in the lead bar. 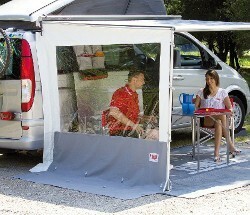 Fiamma Blocker panel vinyl is rot proof and washable with UV protection and the Blocker is supplied with pegs and guylines. 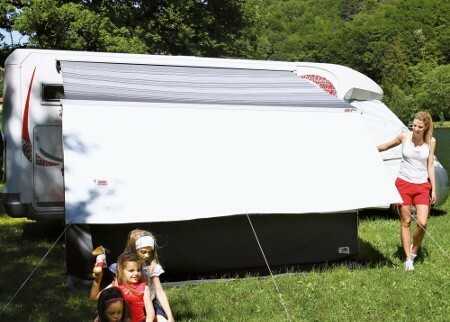 All sizes are 140cm tall and can be pegged straight down to block wind or rain, or angled away from the awning to provide more shade area. For available sizes compare image above with chart below.